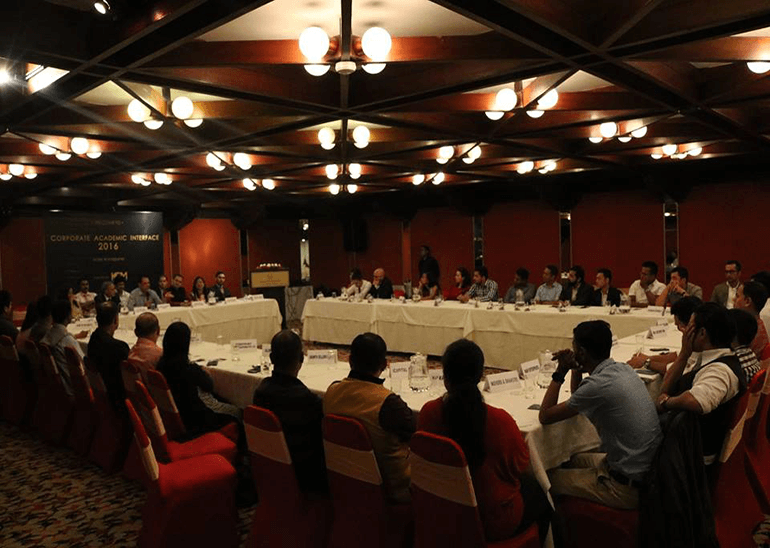 An interactive session between the faculty members and the intership supervisors took place at Hotel Annapurnna on 22nd July,2016 after the students of batch 2014- 2018 completed their two months internship programme. The session was formerly known as Corporate Academic Interface, which aimed to bridge the gap between the present HR needs in the corporate world and business education. The interface intended for the academicians to understand the present need of corporate world and change their training processes accordingly. The internship supervisors shared their experiences and valuable advices on different themes focusing on the performance of the students in the workplace and the areas that needed to be polished. The interface facilitated the faculty members to disscuss about the current academic cirriculum brainstrom the improvement that could be made. To sum up, the session provided a great platform for the betterment of the college in near future to provide world-class management graduates.